Unity Folk Club is actually Unity Theatre Folk Club (we dropped the 'theatre' in the early 2000s). 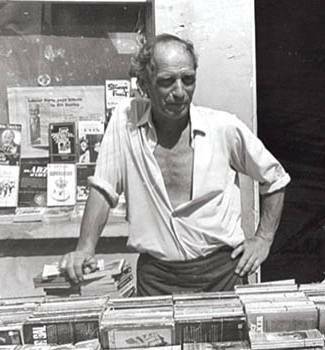 It was started in the late 40s / early 50s by Jack Firestein, a Unity Theatre management committee chair, and the front of house face of Unity Theatre, running the bookstall in the foyer during every performance (weekends only) and the folk club in the bar on Wednesdays. Jack remained a steadfast, principled and caring socialist all his life. It was his life. He maintained a strong anti-nuclear and Irish Republican tradition and up to his severe, completely disabling stroke in 2002, always managed to get a group of singers together for major demos. Unity was of course the left-wing theatre that specialised in socialist theatre, famous for its political pantomimes and living newspapers and for being at the heart of the militant national theatre movement in the 1930s. The Unity made its name with Waiting for Lefty and was the first theatre to stage a Brecht play in Britain. The folk club had to move after fires (two) shut the Theatre. Pete Seeger and Paul Robeson were two famous singers connected with the Unity Theatre and Jack. The Unity Folk Club was at the Enterprise in Chalk Farm Road until 2003 when it moved to its present venue. The central point of the club is to help to keep political folk singing alive, which is particularly necessary in the present climate.